SVPAM’s Nurse Practitioner, Susan Pointer, DNP is a IBCLC (International Board Certified Lactation Consultant) and would be happy to discuss breastfeeding questions or concerns. One of the services we offer is a lactation consult. This extended appointment, in the office, provides time to work on latch, discuss your concerns, and most importantly, provide reassurance. Often mothers are concerned with the amount of breast milk a child is receiving, so we can obtain pre and post feeding weights, which will indicate whether the baby is receiving adequate amounts of breast milk. 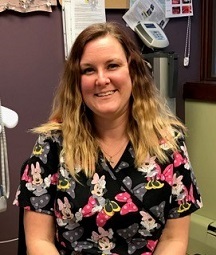 Remember that SVPAM also has staff Breastfeeding Support Nurse, Stephanie, who is in the process of achieving certification as a Certified Breastfeeding Counselor. She helps with phone calls throughout the day so you can have more timely answers to your questions as Susan Pointer is seeing patients. The providers work collaboratively with Stephanie & will also be happy to return non-urgent calls, typically within 24-48 hours. Several good websites providing correct lactation information are http://kellymom.com/ and http://med.stanford.edu/newborns.html. Stanford provides written information and videos regarding latch, maximizing milk production, hand expression, using a breast pump, etc. Please refer to the below links for additional information regarding common questions. Keep checking back to this page for additional information.